The Untokening is a multiracial collective that centers the lived experiences of marginalized communities to address mobility justice and equity. 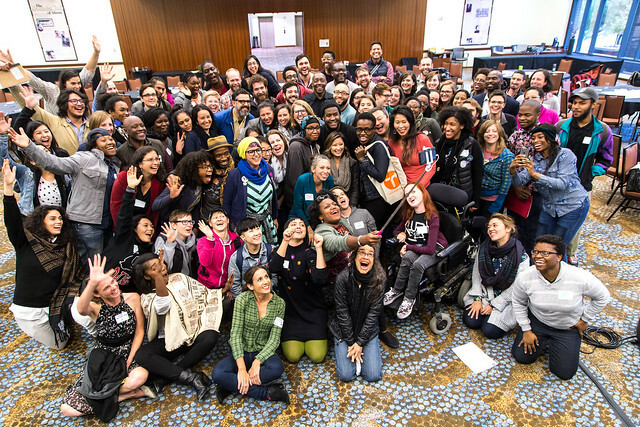 Each year, we host a national convening that creates space to focus on the personal and interpersonal work it takes to be Black, Indigenous, People of Color (BIPOC) in mobility advocacy, planning, and policy spaces. While this is a national gathering, we center and elevate the expertise of mobility leaders and the challenges and issues within the local host community. We couldn't be more excited to announce our 2019 convening will expand to two days and be held in Durham, North Carolina. Save the date and stay tuned for more details soon on our website and social media! Untokening Durham graphic designed by Jade Brieanne, with art direction from Derrick Beasley. In November 2018, Untokening Detroit showcased the struggles and successes in mobility advocacy, implementation, and engagement in Detroit and other Rust Belt cities. 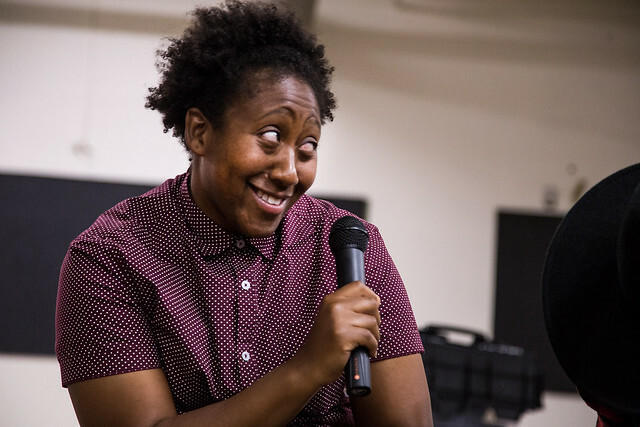 With a strong focus on transit justice and disability rights, the day-long event created space to focus on the personal and interpersonal work it takes to be Black, Indigenous, People of Color (BIPOC) in mobility advocacy, planning, and policy spaces. More than 100 advocates and community leaders from more than 20 cities — including St Louis, Pittsburg, Durham, Milwaukee and Cincinnati — came together for network building, storytelling and discussion. Break out sessions included: Untokening New Mobility; Revolutionary Access: Disability Inclusion as More Than an Afterthought; Conscientious Policy, Planning, & Progress; Building the “Movement” Movement; and more! Thank you to the incredible local organizing committee — most notably co-organizers Heather Hugen and Lex Draper — and our sponsors who made the event, as well as scholarships and travel stipends, possible: People for Bikes, Transit Center, Dero, QBP, Alta Planning + Design, Sam Schwartz Transportation Consultants, Gehl Institute, Detroit Disability Power, Motor City Freedom Riders, and Wayne Rides. And so much gratitude to all the attendees for your energy and insight. Please let us know if you have any additional thoughts or feedback by emailing mobilityequity@gmail.com. On November 4, 2017, 110 activists and community leaders — more than 75% of whom identify as Black, Indigenous, People of Color (BIPOC) — came together for Untokening California in Los Angeles. Our day-long event created space to focus on the personal and interpersonal work it takes to be BIPOC in mobility advocacy, planning, and policy spaces. Participants shared experiences of tokenism, sharpened decolonizing tools to grow beyond it, and identified actions to help guide the mobility system toward equity. While the stories and speakers focused on California, attendees traveled from cities across the nation, including Atlanta, Chicago, Cincinnati and Minneapolis. Check out photos from Michael Anaya and Areli Morales below. Thank you to our sponsors California Bicycle Coalition, California Walks, and Dero. Thank you to the steering committee, local organizers, speakers and facilitators, who shared their time and knowledge. And most of all, THANK YOU to all attendees for your energy and insight. Please let us know if you have any additional thoughts or feedback by emailing mobilityequity@gmail.com. In an effort to lift up social justice values, we intentionally worked with many local, grassroots, politicized, BIPOC and women folks in the LA area. From the venues, catering, photographer, DJ, supporting organizations, sound, etc, we searched high and low to ensure that the money was spent in community and with folks that have shared values. We are grateful to each one of them. 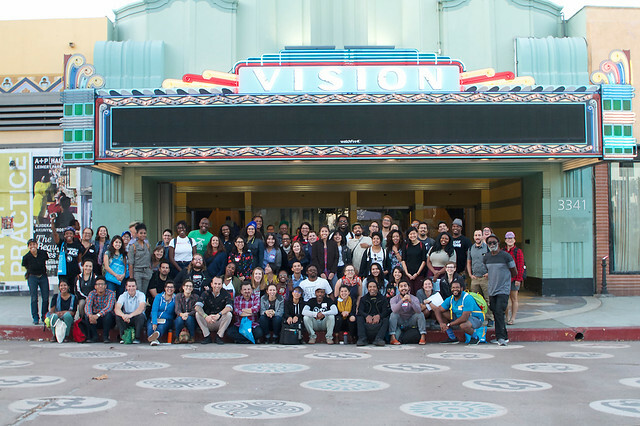 With more than 130 participants from across the country, the Untokening included candid discussions about street safety, displacement/gentrification, community engagement and culture, which will be collectively edited and distilled into position statements to be shared in early 2017. Conversations also included identifying the "elephants in the room" in mainstream mobility advocacy settings. Stay tuned for more outputs in coming months! The Untokening included multiple events, including a full-day convening, a discussion on "Race, Place & Justice" and a social ride with Civil Bikes. Photos below by Argenis Apolinario.